Crossroads Collective food hall. Photo by Jeramey Jannene. 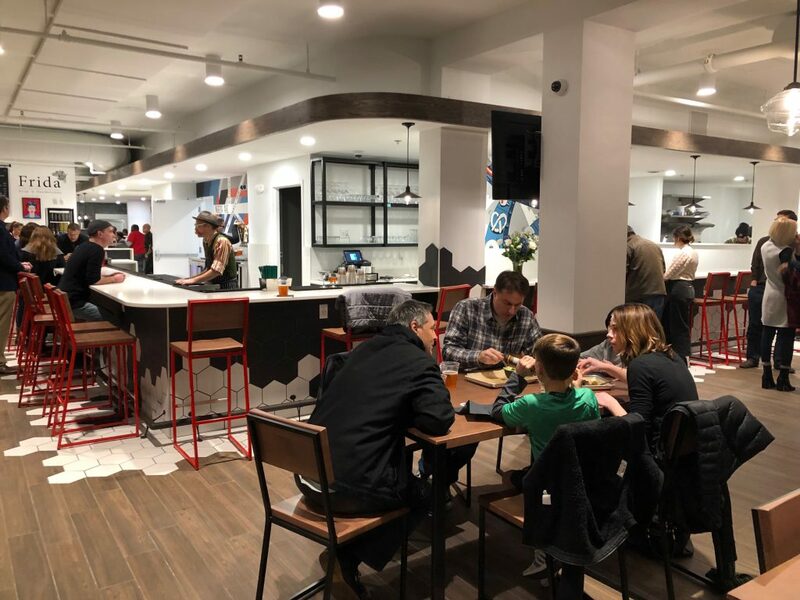 Raw Bar, the seafood concept occupying the final stall at Crossroads Collective food hall (2238 N. Farwell Ave.), officially opened on Wednesday, April 10. Owners Jonathan and David Manyo announced their venture at the food hall in March. Joe Elmergreen is also a partner in the business. Jonathan Manyo also owns Morel (430 S. 2nd St.) in Walker’s Point. The opening menu will include options including fresh oysters served alongside accompaniments including mignonette, lemon and horseradish (market price); king crab legs served with drawn butter or cocktail sauce ($52/lb; and a ceviche of the day served with tortilla chips ($13). There will also be crabcakes with remoulade and sherry vinaigrette ($16); Caribbean conch served with tortilla chips ($14); crab pico de gallo with tortilla chips ($15) and two types of lobster rolls: Maine style and California Maine style with orange and tarragon ($27 each). Sandwiches will be served with a side of potato chips. Salads will include Himachi Tuna Nicoise ($16) and classic Waldorf with crab ($14). And a Wisconsin cheese plate will showcase four Wisconsin cheeses, water crackers, raspberry agrodolce and seasonal fruit ($15). Crossroads Collective opens at 11 a.m. daily. The food hall closes at 9 p.m. Monday to Thursday, 10 p.m. Friday and Saturday and 8 p.m. on Sunday. 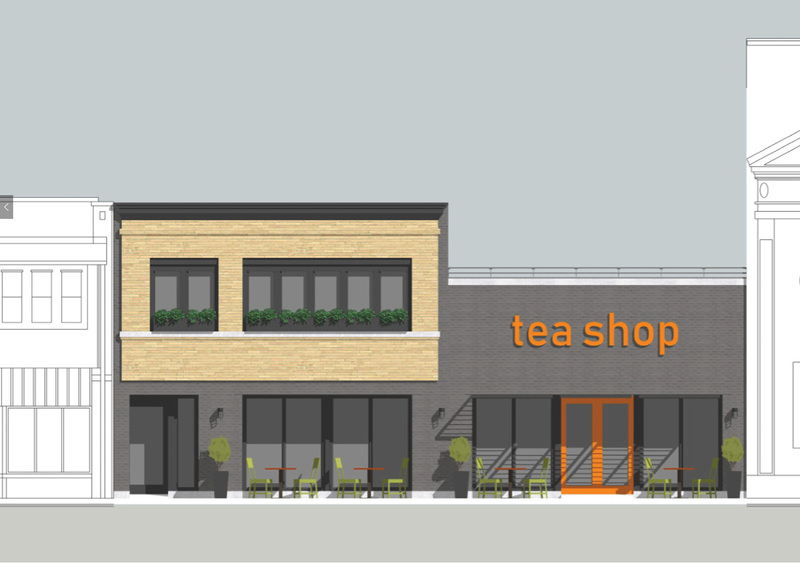 The company Urbal Tea will open its first brick-and-mortar cafe. The company was started by Nick Nowaczyk in 2014, and currently sells teas online and in grocery stores. The cafe would be located at 3060 S. 13th St. Developer Ryan Pattee hopes to purchase and renovate the building, and will partner with Tredo Group for the development. Pattee also redeveloped the building that houses Bittercube Bar and Bazaar (4828 W. Lisbon Ave.), which opened in October 2018. According to a city report, Pattee is expected to invest $197,000 in renovating the property, located in the city’s Polonia neighborhood. Moosa’s, a burger-and-custard stand, has been announced as the new operator of the former Northpoint Snack Bar (2272 N. Lincoln Memorial Dr.). Owner Alaa Musa also operates the Casablanca locations on the East Side (728 E. Brady St.) and in Brookfield (17800 W. Bluemound Rd.). Al Musa said MooSa’s will be similar to Northpoint Custard — family friendly, he said. “We have quite a bit of vegan clientele that we don’t want to leave out,” Musa said. Musa hopes the stand will open by June 15, and will remain open until October or November, weather permitting. Moosa’s plans to be open 11 a.m. to 8 p.m. daily. The Bartolotta group assumed operations of Northpoint in 2009. Last year, after Milwaukee County made requests for bids to operate the stand for five years, requiring $60,000 minimum a year for rent. However, Bartolotta and Milwaukee County came to an agreement to extend their partnership for one more year. Now, Bartolotta has announced that they will instead operate the McKinley Marina roundhouse, at 1750 N. Lincoln Memorial Dr.
…the Bartolotta group said it plans to create “a beer-garden type space that takes advantage of the location and natural surroundings.” The group still is finalizing food and drink options, but Bartolotta said he expects it would have mixed drinks in addition to beer. The location previously did hold a liquor license, which Northpoint Custard does not. “You’re right on the water,” Bartolotta said of the roundhouse. He envisions picnic tables and lights strung over the space for outdoor seating. Pending approval from the Milwaukee County Board, Bartolotta hopes to have a soft opening this summer. A grand opening is expected to take place sometime in 2020, with hopes of being fully operational before the 2020 Democratic National Convention. Come May, Von Trier (2235 N. Farwell Ave.) will have a new owner, but changes to the business will be minimal. Mark Zierath will take the reigns from current owners John and Cindy Sidoff. Zierath also operates Jackson’s Blue Ribbon Pub (1203 N. 10th), and is opening Ella’s Public House in the Town of Genesee in May. Zierath’s father, Ron Zbleski, also previously owned Von Trier. In 2017, the Sidoffs announced plans to transform Von Trier into an upscale cocktail lounge. After an “outpouring of support” from the community, the two opted to make some updates to the bar while keeping the German theme. Von Trier closed briefly in January 2018 for renovations, and was up and running again by mid-February of the same year. Saint Kate, the new arts hotel opening in the former InterContinental Hotel, 139 E. Kilbourn Ave., will have two restaurants and two bars. The first floor lobby will offer “locally roasted coffee, juices, cocktails, local craft beers and house-made pastries,” at its beverage program, dubbed “the Bar.” Additionally at ground level, a pizza joint will be located next to the hotel. The restaurant, called Proof Pizza, will offer specialty recipes and build-your-own pizzas. The fare also includes hand-made pies, salads, antipasta, desserts, “re-interpreted Italian classics” and “Italian-style pocket sandwiches” known as tascas. The café will be located on the second floor of the hotel, serving American cuisine like blueberry granola pancakes, house-made corned beef hash, the Big Boy Burger and Amish chicken. Aria will also incorporate art by partnering with local butchers, bakers, brewers and potters, the release says. In addition, Giggly Champagne and Wine Bar on the second floor of the hotel will serve champagne and international sparkling wines by the glass and bottle, plus cocktails, beer and bar bites. The food and beverage programs are curated by Food and Beverage Director Brent Hockenberry and Executive Chef Aaron Miles. Saint Kate is slated for a spring opening. Smyth, the restaurant inside the Iron Horse Hotel (500 W. Florida St.), will close on May 1 and will be replaced by a new restaurant concept. In fact, DanDan owners Dan Jacobs and Dan Van Rite have been brought on to revamp the hotel’s entire food and beverage program. The hotel announced on April 4 that JVR Group, a hospitality business run by Jacobs and Van Rite, has been hired for the endeavor. Set to open in late June, that new concept will replace the hotel’s main restaurant, Smyth, which will close on May 1 for renovations to the space. Details about the concept, including its name, will be announced in the coming weeks. By late May, Jacobs and Van Rite will roll out new menus for the hotel’s lobby-level cocktail bar, called Branded, and its seasonal outdoor dining venue, The Yard. Along with DanDan, Jacobs and Van Rite also operate the Third Ward’s EsterEv and Fauntleroy.